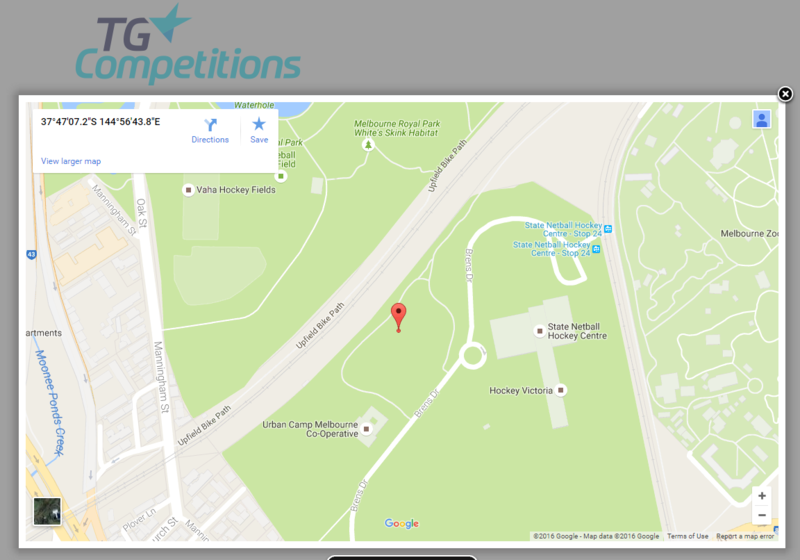 When viewing fixtures within the Sports Portal, competitors also have the ability to view further venue information, including a map to assist them in finding the venue. 1. Go to the COMPETITIONS. 3. Click on VENUE INFORMATION (the map icon) next to the relevant fixture. By clicking on the map icon, the location of the venue will appear on a Google maps popup.